I feel like featuring one of these “no SBD in circulation” shows as my next stop in 1977. In a year that overflows with great music, it can often be daunting to know which flavor of candy to pick when all of it is so delicious. 6/4/77 doesn’t often find a spot on folk’s top 10 lists for 1977, perhaps specifically because it doesn’t circulate in SBD (which typically exposes a show to many more ears). But, this is a worthy listen, and I feel it is ideal for recommendation on the pages of the Listening Guide. Whether new to the Dead, or looking for a little inspiration as to what you might put on today, 6/4/77 is going to make you glad you listened. There was a lot of new stuff unveiled in 1977, not the least of which being Terrapin Station, Estimated Prophet, and Fire On The Mountain. The band was also continuing to capitalize on their now enormous repertoire of songs, mixing things up all over the place. Set lists tended to be more daring and exciting on paper starting in late 1976. This show, in the summer of ’77, is no exception. In fact, when you look at just part of set two on paper, it feels like more than one show packed into one set. Bring it on! This is no standard set list by a long shot. Something that 1977 has going for it that not all years can claim is that the band made exceptional use of the transitions between songs. Breathtaking segues were common in 1977, and this show has them in spades. When you couple this with the fact that even the seasoned listener would never expect to hear Playin’ go into Franklin’s, let alone China Doll go into Not Fade Away (What!?!?! ), you have yourself a listening journey packed with excitement and uniqueness. 6/4/77 delivers all of this and more. The first set cooks, and is capped by a Music Never Stopped that roars. It is only an inkling of what’s to come in set two. Estimated Prophet, new in ’77, gets the full attention of the band and it’s an awesome ride. Jerry flying on his new auto-filter effect, he’s like a dancer pulling of graceful step after step. We slip nicely into Eyes of the World, and the up-tempo brings with it a rise in energy. The band has made it into the zone. In the intro jam, Jerry erupts with lyrical solo after solo, now sounding more like a bird in love with the morning sun. It’s blissful. The Drums after Eyes is short and not to be missed. Don’t skip the track. It is followed by a raucous Good Lovin’ brimming with energy. Then you can take a breath. Make it a deep one. From here we head down a long and twisted ride into all that is good about the good ol’ Grateful Dead. Terrapin Station's from 1977 were extremely focused. 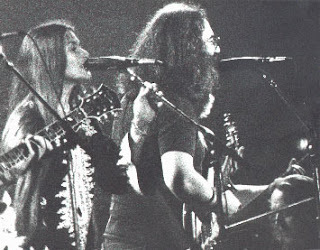 Jerry’s ability to take Hunter’s lyrics to song are almost never more aptly done, and in its early stages, the song had a certain extra special something not found in later years. This is no exception. This turns nicely into Playin’ In The Band. The Playin’ jam itself is deep and spacious - a quiet and introspective passage in the second set that is almost more about the emptiness around what’s played, then the actual music itself. It is spread out and wafting, like a warm breeze in the evening. Reaching almost a complete pause in everything, it’s like a snowflake coming inches from settling on the ground, but in its near weightlessness, getting swept up into a darker wind, never quite reaching a full stop. The tempo of the song has been left long ago for a more abstract gurgling of subdued chaos. Then like an army of troops cresting over a hill in the distance, the triumphant march of Franklin’s appears out of the mist. The effortlessness with which the band makes its way between these songs makes it all the more amazing when it happens. Incredible. 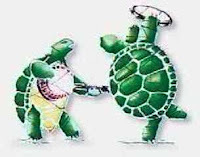 Then, out of Franklin’s, the band settles back into the near silent space-jamming that came before it. Besides a minor tape flip into the jam, we are once again treated to an exceptional passage out of one song into another. In this three and a half minute transition, you can hear the band thinking on its feet. There’s a lot of stuff going on. Many wide swells of volume, and dissonance pervade. And then, amidst a dark veil, China Doll. The crowd loves it. The decent out of China Doll brings on yet another unexpected segue. The beautiful nature of the song slips into a more up-tempo cadence, and we hear the unmistakable rhythm of Not Fade Away. It’s toyed with for a bit, the crowd left to ponder exactly where this thousand mile journey is taking them next. Then we get the song proper and the roof explodes. I’m not always a fan of late era NFA’s, but this is worth every note. Jerry’s leads are heroic. He gets way more out of this song than is humanly possible. It’s gold, and it seems to go on forever. It’s late in the show, and the band shows no signs of slowing down. Where can we go now besides another lovely transition? Sure enough, out of NFA we are dropped back into the gentle rain of the Playin’ jam. Its light fingers caressing your hair, fanning the winds inside your body. Then with the force of a hurricane, Playin’ crashed upon you. Up and up and up it swirls. Then a bit more. And more still. It ends. We can breathe. In likely the only time you will see me devote space to the song “One More Saturday Night,” you must not leave the party early tonight my friend. For if you do, your friends will shame you for having missed one of the most perfectly delivered, overly exuberant renditions of this song on tape. A normal near throw away after you’ve heard a few hundred of them, tonight’s encore is a must listen. You will gain nothing by being the first out of the parking lot tonight. This is what the song always wanted to be. A cooler tempo, and a ferocious energy, I never would have thought to talk to you about versions of this song you need to hear. Well, here ya go. Another Rob Bertrando master, the sound quality is good, and gets better with the second set where things become near as perfect as we could want. We don't have this one available in SBD, so enjoy this luckily persevered glimpse. This is a fantastic recording of a fantastic show. I don't know if you take requests, but I've always felt this was a great companion to their previous LA show, 10/15/76, which also contains a fabulous Franklin's Tower as part of a monster second set jam. Anyways thanks for the great words and I've just noticed you have podcasts. I'll have to listen. Plumb, requests are always welcome! You think I can keep picking all these shows off the top of my head? ;-) 10/15/76 is actually already in the queue, and should appear at some point. You'll find a chunk of this '77 show in podcast 001.